During checkout you will be asked to choose your payment method. 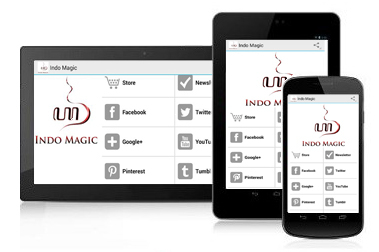 Indo Magic offers the following payment methods: PayPal, Credit Card, Echeck, Wire Transfer, Western Union, MoneyGram, and Phone Order. 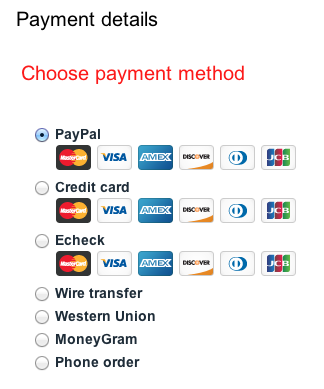 The (additional) payment details will appear automatically when you have selected your payment method of choice. For more information, please refer to the screenshot below. All parcels will be sent by DHL (unless otherwise specified). Online tracking number will be provided, which can used to trace the parcel on the website of DHL Parcel. Estimated delivery takes approximately 5–10 business days on average.